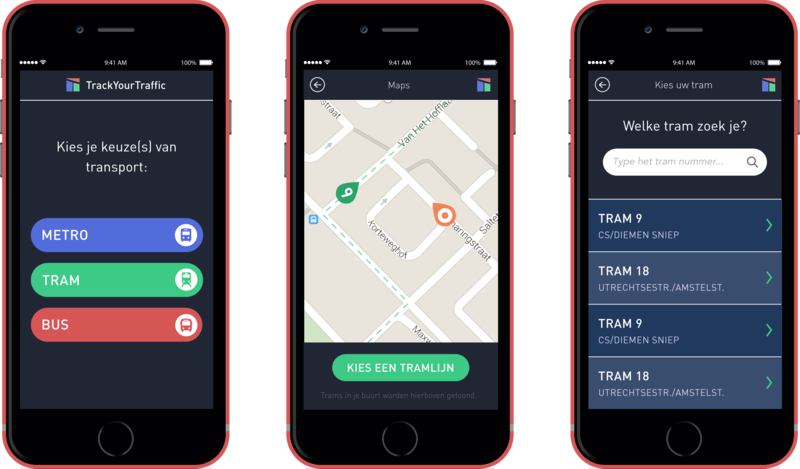 An extensive visual study for a real-time mobile app that tracks the position of the public transport in the city of Amsterdam. 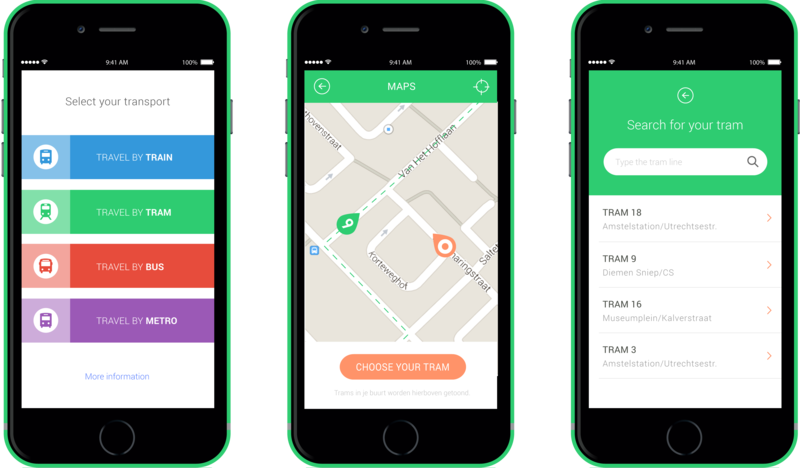 For user experience that is focused on real-time transport tracking, a mobile app is the best choice. This mainly has to do with the fact that more and more people use their mobile phone to search for (transport) information. 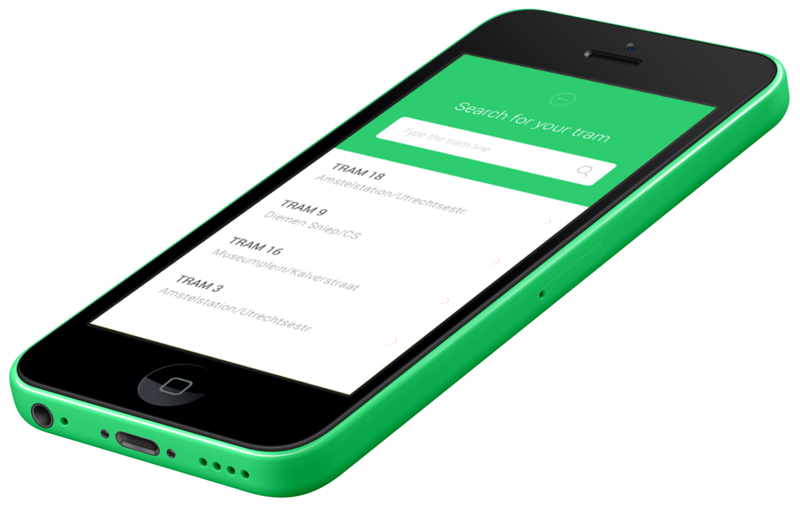 Especially when the competition is small, it is even more important to create a usable app. By creating a lot of different versions, I found out what worked and what didn't work. 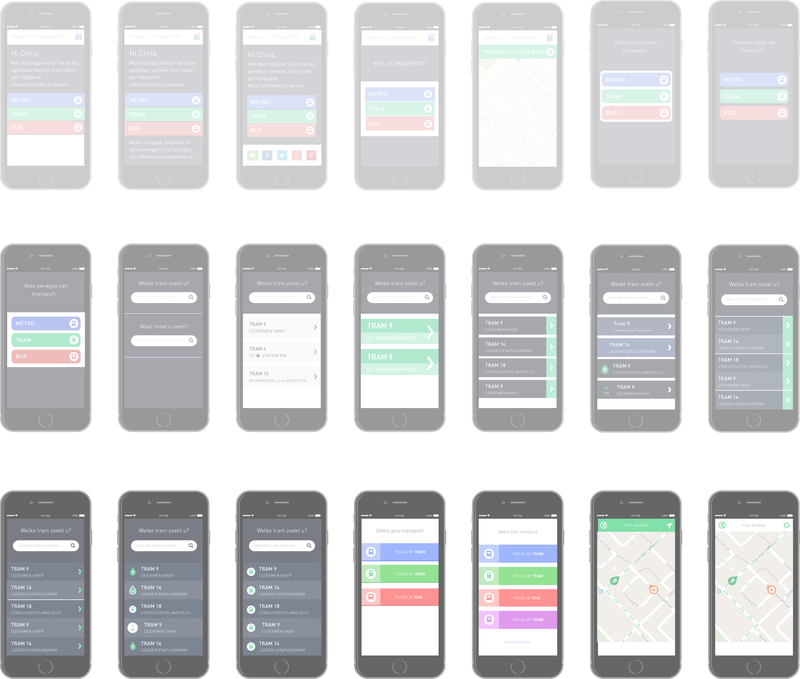 Based on all the mockups and designs that I create before, I managed to slowly grow towards a definitive version of how I think the design of the app could work best. With the dark background, I also focused on the nightlife user. After finishing the above design, I didn't stop. It probably is something in my nature that I always search for perfection in my work. In the design below, I used a more white and minimalistic approach, inspired by the material design movement from Google.